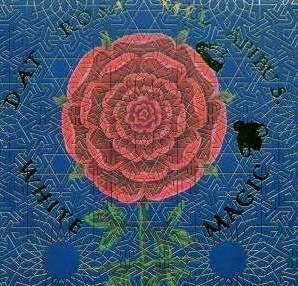 White Magic is just that. Brooklyn's dark indie-folk trio White Magic features singer/guitarist/pianist Mira Billotte, drummer/bassist Miggy Littleton, and guitarist/drummer Andy Macleod. Imagine that scene in Tim Burton's Sleepy Hollow when Icabod's mother is rising from the forest's floor spinning in all it's beauty and rejoicing in her purity. That scene is a very small look into my feelings and thoughts when the songs on Dat Rosa Mel Apibus are being played. We are whisped away through the trees on an enchanting journey guided and protected from the darkness by Billotte's beautiful voice. The album is being released 11/14 on Drag City, just in time for the winter, and this to me is the perfect winter album and a must own. While most of the songs on Dat Rosa Mel Apibus are heavy with Billotte's gorgeous piano, Katie Cruel is finger-picked with misty guitars and the songs of a siren, and is below for you to sample. Enjoy.